Firearms University was founded for the purpose of teaching people how to effectively use a firearm…without all the other bullcrap. You know – speaking normally to normal people who want to learn normal gun handling skills in a normal environment. We don’t teach S.E.A.L. tactics. You want to learn S.E.A.L. tactics? Enlist in the Navy and volunteer for the training… We don’t speak in ten-codes or military lingo. (10-4, good buddy?) This isn’t basic training, and you didn’t sign up to be the target of some meathead’s hostility. (You know…the one who thinks he’s the biggest badass on the planet.) Not here cupcake. We don’t tell war stories. We don’t try to dazzle our students with our past accolades. 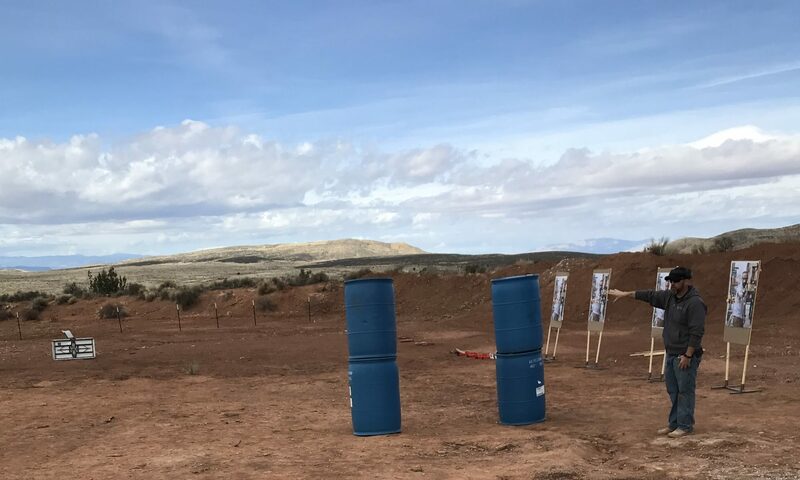 We simply pass knowlege from instructor to student with the intent of making the student a more effective shooter; and thus, a better human being in general. Our instructors’ resumes are on file in the Admin office, if resumes are your kind of thing. Rest assured, our instructors have very tall stacks of very official certificates and hundreds – or thousands – of hours of training that qualifies them to teach. Most importantly, they’re great instructors – not just great shooters. (There’s a difference, believe us…) Our instructors come from all backgrounds: civilian, military, and law enforcement. All of them here for a single purpose: to make our students more effective shooters, and thus, better human beings in general.